Creative IT is a full service HP laptop repair centre located in Central London and serving customers in the UK for the past 15 years. 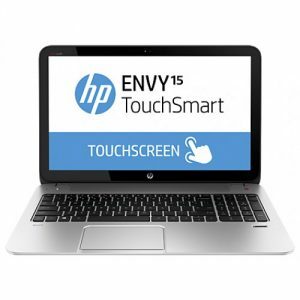 Our aim is to deliver cost effective HP TouchSmart laptop repair and upgrade services while ensuring outstanding quality. At Creative IT, our knowledgeable technicians and engineers have good familiarity in troubleshooting and repair of the HP TouchSmart notebook PC series and are dedicated to provide individual and business clients with the best services at highly competitive rates. Our laptop service technicians are all set to help out with all your HP TouchSmart laptop repair requirements. They will without delay diagnose your problem and offer you with a quote inclusive of all parts and labour. At Creative IT, we have the capability and expertise to troubleshoot and repair any issue with your HP TouchSmart notebook PC series model including video and display issues (duplicate images, random characters on the screen, HP TouchSmart laptop overheating, distorted video, no video on the screen, water or liquid spills on your TouchSmart laptop, scrambled video, vertical and horizontal lines on the screen), beeps when you press the power button, intermittent booting, error messages displayed on laptop, battery does not power notebook or hold charge, battery may not charge with voltage adapters, LCD display fails to resume from standby, no sound when playing a music CD, memory and hard drive problems and component level issues. We can troubleshoot and repair all HP TouchSmart notebook PCs and we offer same day HP TouchSmart notebook repair services to customers based in and around London and fast services to UK customers. We can also arrange professional courier pick up services for those who cannot bring their faulty HP TouchSmart notebook PC to our Central London repair centre. To know more about our London HP TouchSmart laptop repair, replacement and upgrade services, contact us at 020 7237 6805 or e-mail us at info@creativeit.tv.